If you’re attending the AAFS (American Academy of Forensic Sciences) 70th Annual Scientific Meeting taking place Feb. 19-24 at the Washington State Convention Center in Seattle, you won’t want to miss ARCCA’s Director of Crashworthiness, Gary Whitman, who will be presenting a paper he co-authored with several other ARCCA experts – Lou D’Aulerio; Alan Cantor, Larry Sicher, and Michael Markushewski. The topic is “A Forensic Performance Analysis of Load-Limiting Devices in Automotive Seat Belt Retractors” (Friday, Feb. 23 at 11 am). Their paper focuses on the trade-offs involved in the effective design of load-limiting devices in seat belt retractors, i.e. the reduction in maximum loading to the occupant versus the corresponding increase in seat belt webbing and subsequent occupant movement. If the additional webbing introduced is not controlled properly, the risk of injury to the occupant is greatly increased and could result in more frequent and severe injuries than the reduction intended. 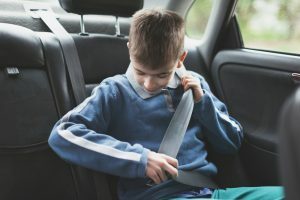 This dilemma was recognized by researchers very early on when such devices were introduced into automobile seat belt restraints, yet there has been very little published data identifying the various design attributes and the possible consequences of the design choices.